Emmy Pérez is a Chicana poet and writer. She grew up in Santa Ana, California, and graduated from the University of Southern California. She later attended Columbia University where she received an MFA. For the past seventeen years, she has lived along the Texas–Mexico border, including El Paso and the Rio Grande Valley. Currently, she is an associate professor in the creative writing program at the University of Texas Rio Grande Valley. She is the author of two poetry collections: With the River on Our Face, published by the University of Arizona Press in 2016, and Solstice, forthcoming as a third edition from Swan Scythe Press. She was recently awarded the 2017 National Endowment for the Arts fellowship in poetry. In this interview, Pérez discusses where much of her inspiration for writing comes from, including such subjects as her family history and life on the border. 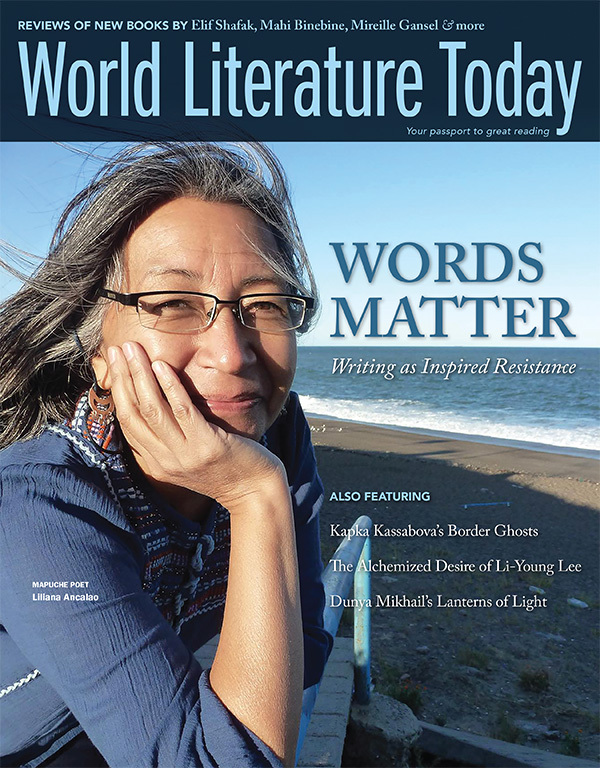 She shares her experiences of writing as resistance and witness and discusses both her latest book and some of her experiences of border life. Chelsea Rodríguez: I want to ask you more about your relationship with Texas in general but mostly with the Rio Grande Valley—how you reconnected, if maybe it helped you reconnect to yourself? Because you said that you adopted your Chicana label when you moved to El Paso, right? Emmy Pérez: Right. I might have to backtrack a bit first to before I moved to the valley. After growing up in Southern California and living in New York for grad school and in New Mexico afterward, I made a very conscious decision to move to El Paso. Some people thought I was a bit crazy because I didn’t go there for a job, though I was grateful for one, even if low-paying. I moved because I wanted to live there, especially because I had been writing about it and wanted to experience living in the borderlands. When I had the opportunity to move into my mother’s childhood neighborhood in Ysleta, which is now part of El Paso, I seriously thought I’d live there always. My grandfather’s family had lived there for at least a few hundred years, before and after the Treaty of Guadalupe Hidalgo (1848) changed border boundaries in Mexico and the US. My grandfather used to make adobe houses until he got a bad hernia, and I was lucky to live right around the corner from my family’s former home, two miles from the river and near the same canal that was a big part of my mother’s childhood and stories. It was a great experience for me to live there because throughout my life, so many forces have tried to assimilate me, and this was one of the ways I was refusing to live that kind of life. I have always been culturally connected, but this was a way for me to experience the community of my mother’s stories, though I regret not also spending time in my maternal grandmother’s childhood home in the state of Chihuahua, especially before she passed away. My family and I tried to take her back to her town for a visit together, but it didn’t work out, unfortunately. I will get there someday. Norma Cantú: What’s the name in Chihuahua? Emmy Pérez: Mata Ortiz, which used to be called Pearson and is about two hundred miles from El Paso and near Casas Grandes. You might have heard of the famous contemporary potters of Mata Ortiz, influenced by the pottery of Paquimé. My grandmother’s mother was from Noragachi, which I’ve visited, fortunately. My grandmother migrated to El Paso when she was around sixteen years old and met my grandfather in Ysleta. They had ten children, including the one stillborn child my grandmother always included in her count. My mother tells vivid stories about her own childhood and extended family. That is why I moved to Ysleta—originally, I wanted to write a novel based on my mother’s life, but instead I wrote poetry. Chelsea Rodríguez: So, that’s what Solstice is about, right? Emmy Pérez: Yes. There are a lot of poems about Ysleta and family in Solstice, and also a few about California and living on the East Coast, too. And while most of my more recent With the River on Our Face was written while living down the river here in the Rio Grande Valley—which is as far in distance from El Paso as my hometown in California is from El Paso—a few of the poems also mention or draw from El Paso/Ysleta and Ciudad Juárez. All of the places I’ve lived are part of my writing in some way. Chelsea Rodríguez: What drew you to use nature as a means of translating your feelings, your pain, and your story? Emmy Pérez: Among my first blurry memories is a little garden my mother tended in California. I remember fresh peas and also literally getting ants in my pants there. That’s a clearer memory. Like many kids, I loved being outside and making pretend food like tacos with leaves and things. I felt intimately connected to the bushes and trees around the house. I’m thankful I was allowed to play outside so much. I don’t remember the garden beyond four or five years old, though later we always seemed to have chili plants. When I was around ten or eleven, my father and I planted a few flowers and seeds, and it was truly amazing to see a carrot grow or see the strawberry plant I tended grow one strawberry that I ate. I worshipped that strawberry. It might sound kind of dramatic, but I loved those miracles. And I might be making my childhood sound idyllic, but that wasn’t always the case—and another whole, long story. From time to time, we’d also visit beautiful local and national parks and places. I remember my parents working very hard always and hustling to make extra money. We were not at all hard-core about these trips the way some can be, but it was exciting to visit, except as a tween when I’d roll my eyes at times. Of course, this is all part of the process. As an adult, moving to New Mexico and then the Chihuahua desert—even seeing little flowers growing on roadsides was amazing, even more so when feeling down. And then you begin to notice more and more beauty everywhere. I thank my parents, even though they never said, wow, look at this flower or bird, this is the name of it. On the other side of the spectrum, we rarely spoke about the things that bothered or hurt us in life, either. That was harder. But I think being outdoors always helped. Like they say, take a crying child outside and they will stop crying. Maybe for me, writing in those situations is the next step, after crying or holding things in and being outside. When I first moved here to the valley in 2006, I needed to see the river to feel where I was in the world. I was used to El Paso and Ciudad Juárez facing each other. Now I lived ten miles from the river and needed to see it and the border cities across it. Chelsea Rodríguez: Can you talk a little about how our connection to landscapes and nature has helped you process the issues here in the valley of immigration across the border with the river and the walls? When the concrete wall comes in, it’s very opposed to the natural landscape, so I wonder how you process all of it. Emmy Pérez: Yes. I remember experiencing a lot of stress for a time when I moved to the valley, and like anyone, I wanted the stress gone. I remember deliberately visiting natural spaces for this purpose and riding my bike through the Santa Ana National Wildlife Refuge, as an example. I’d ride and stop and walk through the monte (brushlands), to the Rio Grande. I would just let everything go in those spaces and feel more myself and at peace. I’d also visit when feeling pretty good, too, and leave feeling even better with exercise and the interaction with the lovely and complex surroundings, which also helped me gain more clarity and connection to myself. I don’t have ancestors from the valley like I do from El Paso, but I already had come to appreciate the living history of the borderlands while learning more about the particulars of the valley. Spending time in the monte and near the river and Gulf of Mexico were at the time my most sacred connections to the valley. I remember being influenced by Anzaldúa’s intimate connection to the land in her work, and of course my mother’s and her family’s connection to Ysleta is my connection to the river. My mother says that as children, they were often hungry. Apparently, my grandfather found ways to divert water from the canal in Ysleta so they could grow some fruit and vegetables beside their home. I’ve always kept that with me in writing With the River on Our Face . . . how the Rio Grande water helped nourish my mother and her family, and I now exist. When I first moved here to the valley in 2006, I needed to see the river to feel where I was in the world. I was used to El Paso and Ciudad Juárez facing each other. Now I lived ten miles from the river and needed to see it and the border cities across it. They felt far away at first. I loved how there were no fences, no walls at the river here. . . . It seemed like more water and a different color, greener. I also enjoyed walking over the international bridges and spending time in Reynosa, Nuevo Progreso, and Matamoros. I find the land, the people, the family connections people have between countries beautiful. Overmilitarization of the borderlands is troubling. This has been going on long before this new president. This was the same year that George W. Bush signed the so-called Secure Fence Act into law. When I witnessed the building of a border wall a few years later, in 2008 and 2009, at the Old Hidalgo Pumphouse, it was heart-wrenching and more. My long poem “Río Grande~Bravo” is about watching that wall being built. I’d marched against it, knew it was coming, but don’t think anything could have prepared me for it, its violence against migrants that need to cross regardless, and in more dangerous ways, and its violence against border residents, communities, and ecologies. The symbolism of the wall is also violent, and river access to the public is pretty much discouraged and nonexistent near the pumphouse. And now, in 2017, this administration has its eyes set on Santa Ana National Wildlife Refuge, among other places, for more walls, because it is easier to get the land. I never thought the national refuge would be targeted for destruction, especially with something like 95 percent of the monte already removed here in the valley in the last one hundred or so years, though this is a major current threat along with all the border wall building that our communities are actively resisting. How I processed the first wall-building here was by spending time in the land, witnessing the building as much as the beauty of the land. I also traveled along the river to more communities—some I’d already been to and others not, for images and movements that are in the work in organic ways. I visited the river in New Mexico again and went to the headwaters in Colorado a few times. I went to the river’s mouth a few times. I rode the river ferry, el chalán, a few times here in the valley. I learned the names of more plants and animals. I watched videos of recent US border patrol violence against immigrants and Mexican nationals. I visited Don Pedrito Jaramillo’s shrine near the Falfurrias checkpoint and read the beautiful pleas folks wrote to him for help. And as Norma knows, I started an annual event in honor of Gloria Anzaldúa on my campus in 2008. I taught creative writing in juvenile detention centers with my students. I collaborated with colleagues in Mexican American studies on events and initiatives to help bring people together for discussion opportunities and change. I’m grateful to live here in the valley. I was connected to the river when I lived in Ysleta and drove along the border highway to work each day and saw it, behind existing fencing that’s been there a while, but I couldn’t spend time there as easily as here. Sometimes I’d feel connected by the canal where I lived, or I’d drive to nearby New Mexico, near Las Cruces, to visit it. Norma Cantú: But there it’s not a border. Emmy Pérez: Right. . . . It was easier to visit where it does not make the border. I’d also go to Sunland Park. In El Paso, I was focused on my family history and border life, and in the years after moving here to the valley, I spent more time immersing myself in more of the natural spaces. Needless to say, it was shocking to see the walls go up here and very painful. Had I stayed in El Paso, wall-building might not have registered as deeply, unfortunately. Chelsea Rodríguez: I also want to ask about your intentions for writing With the River on Our Face. What kind of audience were you hoping to reach? And if a specific audience, what were you hoping they would take from the book? At the time I wrote the work, I felt that I was breaking open gates, most of them self-imposed, internalized gates based on what I picked up on over the years about what seemed prized aesthetically in the poetry world, and I remember thinking I’m not going to worry about editors or gatekeepers. Emmy Pérez: That’s a really good question and a hard one. A working title of the book was “On Blight and Beauty.” From the beginning idea stage, I wanted to write how our communities are often talked about as “blighted” to literally justify the use of eminent domain for gentrification projects. My poem “El Paso~El Valle” captures a bit of this, but beyond the literal, the question Who gets to define blight and beauty? carried me through to the end of writing the book. I find the land, the people, the family connections people have between countries beautiful. Overmilitarization of the borderlands is troubling. This has been going on long before this new president. I know it will sound kind of selfish or maybe self-defeating to say that since I write poetry, I don’t really expect an audience, or a large one. And so I don’t really think I had a particular audience in mind, but I do know that I was deliberately not trying to please most literary editors in this country. 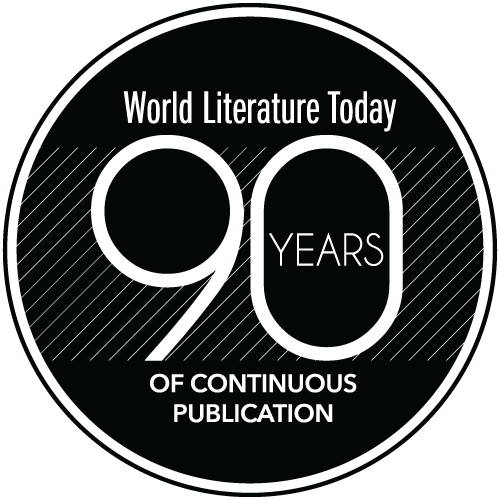 I felt like there were things that I wanted to say that I knew most literary magazines would not want to hear in the way that I was saying them. Now, post-Trump, more people seem to be open to reading work about walls and related politics because, it’s my guess, these issues are embedded in the larger package of more overt and brash speeches and tweets by this president. It’s almost like some needed more insulting and loud presidential language and affirming chants back from his audiences in order to acknowledge what walls, anti-immigrant legislation, and all that’s related really mean. At the time I wrote the work, I felt that I was breaking open gates, most of them self-imposed, internalized gates based on what I picked up on over the years about what seemed prized aesthetically in the poetry world, and I remember thinking I’m not going to worry about editors or gatekeepers. This needs to be written the way it wants to be written. I just didn’t care about those parts of the academic game at the time of writing the work, though they are real. Maybe I should have cared more, but I didn’t. Norma Cantú: Well, but I think not caring is what gives you the power. Emmy Pérez: To do something different. Right. Norma Cantú: Yes, to be creative and do what you need to do. Emmy Pérez: Right. In Solstice, my poems are very short, and they didn’t always arrive as sounds, though I paid attention to their music when writing them. This time around, some poems came as sounds through spoken speech rather than sounds mostly “said” in my inner thinking voice. The first poem of the book I drafted while I was riding my bike through Santa Ana National Wildlife Refuge. I spoke it into a tape recorder while I rode, went home and transcribed it, and edited it several times. In this book, I used repetition as a way to find a revelation. I was thinking about how this happens in blues poetry and María Sabina’s spoken ceremonies in her work as a Oaxacan curandera. Chelsea Rodríguez: The cultural practices. Emmy Pérez: Yes, that’s right. The cultural practices of survival and healing through ceremony and art, speech and singing. And poetry that resists what those in power would expect us to blindly accept. Thank you both for reading my book so thoughtfully. It’s an honor. 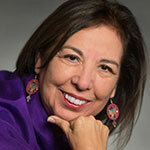 Norma E. Cantú currently serves as the Norine R. and T. Frank Murchison Distinguished Professor of the Humanities at Trinity University in San Antonio. 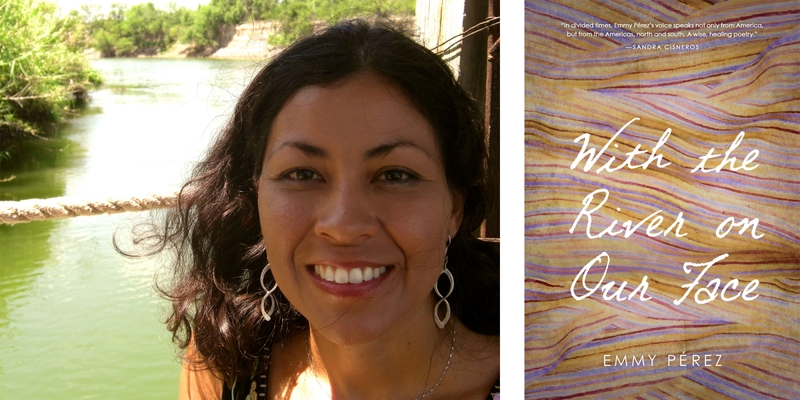 She recently received the Luis Leal Award for Distinction in Chicano/Latino Literature. She is the author of the award-winning Canícula: Snapshots of a Girlhood en la Frontera. She has published poetry in a number of venues including Prairie Schooner, Feminist Studies, and the Latina/Chicana Studies Journal. Her novel Cabañuelas, A Love Story will be out in spring 2019. She is cofounder of CantoMundo, a space for [email protected], poets and a member of the Macondo Writers Workshop. 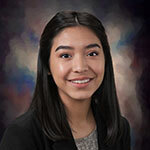 Originally from the Rio Grande Valley, Chelsea Rodríguez is a sophomore at Trinity University. An aspiring writer and artist, she participated in a 2017 Mellon Summer Undergraduate Research Program with Dr. Cantú.